Did you know that members (YOU) can attend the on-site DIY networking trainings at no charge? This month's class focuses on messaging: What to say when you introduce yourself. Because you want to stand out when you show up, right? Attract interest and attention, yes? Yes! Pop Quiz: What is the difference between Action Calls and Marketing Coaching Calls? Action Calls happen on Mondays at 8 and 10 AM. The Marketing Coaching Calls schedule varies by week. The calls happen on the first Fridays at 10 AM, the second Wednesdays at 2 PM, and (usually) the third Thursdays at 1 PM. > Virtual Masterminding + Social Media Planning Day video! Relax! Let's take a strategic approach to your social media, and get it planned out for 30 days in one fell swoop. Using a pen and paper, we'll figure out what to post and when. Then we'll crack open that laptop or tablet, and get that content posted. Plus you'll get done-for-you content to swipe, as well as help getting those posts written. 1, 2, 3, DONE! Wouldn't that be a relief? Join me for Social Media Planning Day on Saturday, March 3rd from 10 AM to 1 PM. We got this, baby! Did you miss last month's first virtual Mastermind meeting? It was a hit! And there's another one coming up this week. We meet on the DIY iMeet platform on Friday from 9:30-11 AM Pacific. Registration required to get room key (password). No charge for All Access passholders; $25 for DIY members. This meeting will not be recorded. If you want to record it yourself, I'll share my secret tool for stealth recording. Just promise me you won't record anything you shouldn't! DIY Weekly Member Update · February 12, 2018 · #371 © 2018 Veronika Noize. All rights reserved. Behind the Curtain: How I use the HemingwayApp to become better writer--and how you can, too. Did you know that you can bring a friend to experience the Mastermind meeting with you? And when you bring a friend, you earn a reward of Mastermind money. Plus, when your friend joins, you BOTH earn "double bonus" rewards. Being cool pays! You don't have to be the Godfather to make your market an offer they can't refuse--nor do you have to sacrifice profit or integrity to make your offer irresistible. 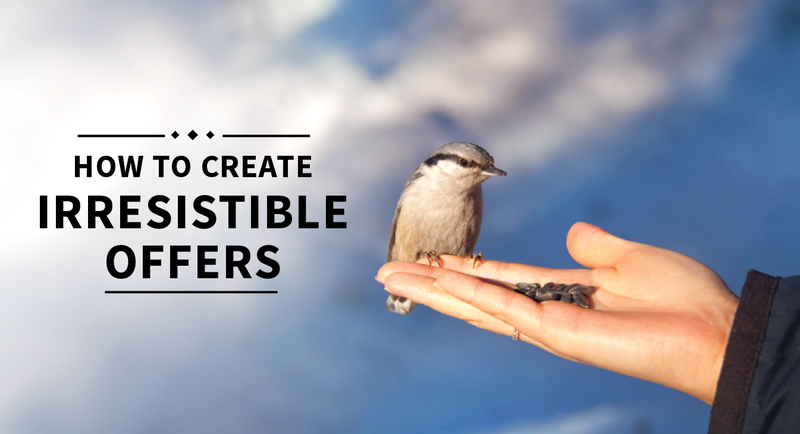 Join your coach and your colleagues for the How to Create Irresistible Offers seminar at the DIY office on Friday, February 9 at 12 PM. No charge for pass-holders; $20 for DIY members. DIY Weekly Member Update · February 5, 2018 · #370 © 2018 Veronika Noize. All rights reserved.